Honest and Objective Evaluation – Are You Willing? Look in the mirror and ask yourself, can I be honest about my abilities? Can I objectively assess and evaluate my riding and my horse training skills? If not, you can stop reading. This post probably won’t help you anyway. A lot of people don’t have the capability to see themselves as they are. They see a mental image that may be real in their mind, but far from the truth. You may know a person that claims to be a good driver that you won’t let near your truck. No matter how many wrecks, fender benders, or little accidents, it’s just the circumstances or someone else’s fault. It’s never their driving. Let’s face it, self-evaluation can be and often is painful. It’s hard to admit our deficiencies and weaknesses. Pride and ego can really get in the way when it comes to admitting what we don’t know. This is really true if others look up to us and genuinely think we are knowledgeable. It’s easier to bluff while blaming the horse than admit not knowing what to do. Are you really able to properly train a horse? How many have you trained? What have you trained them to do? Where is the last horse you trained right now and what has he been doing the last 30 days? When was the last time someone rode him? How long did they ride? Who rode him? Are you comfortable letting your neighbor’s boy ride him? When you get ready to ride, do you have to lunge him before you mount? We view people who claim to have “horse training skills” about the same as people with “good parenting skills”. Lots of folks have kids. They are “parents” in the strictest use of the word. Nevertheless, we find it a whole lot easier to be in the company of children who are being raised by parents who really know how. Kids that haven’t been properly trained aren’t much fun to be around. A horse is no different. A poorly trained horse is just a headache and a problem. If you have kids that act up, there’s a reason. Same for horses, if you can’t ride them safely and confidently, there is a reason. The question you have to consider is, “Am I the problem?” If you can’t honestly evaluate your abilities, you can’ t make changes. It’s like the parent screaming for the 99th time “you better stop” while everyone watching already knows they won’t. If you aren’t prepared to do what it takes, then you shouldn’t expect things to improve. 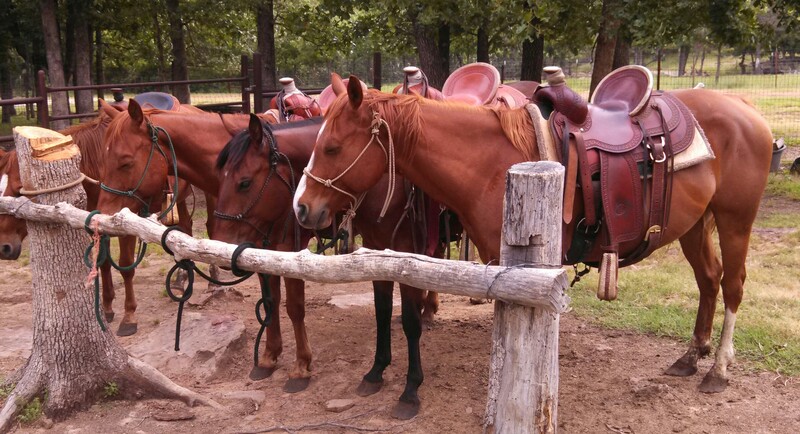 It may mean you give up being a “horse trainer” and admit you just like to ride horses. Good parenting takes hard work, discipline, and lots of time. Proper horse training takes lots of time and hard work. If you don’t have the time or really know how, you won’t end up with a well-broke horse. If you aren’t disciplined in your training, don’t expect to produce well-behaved horses or kids. The average person doesn’t have the time to devote to proper horse training even if they have the ability. Work, school, children, and life take the vast majority and the remaining time left for horse training just isn’t enough. This doesn’t take into account the majority of horse owner don’t know how to properly train a horse. They live in a world filled with computers and modern devices. They learned what little they do know from a couple of weekend courses, a book, and maybe some riding lessons years ago. You would roll on the floor laughing at someone with the same type of training giving you advice on how to raise children. Take a real hard look at your string of horses, your time commitments, and your “real” abilities. Decide if you want to ride a horse and have some good times or if you want to keep doing what you have been. If you’re happy and enjoying your horses, then by all means keep it up. Owning horses is supposed to be about having fun and enjoying life. If you aren’t having as much fun as you want, maybe it’s time for a change. It might be worth reducing the number of horses in the pasture and keeping just one or two that are ready to hit the trails when you have the opportunity. Life is all about choices and how to spend your time. You can spend your leisure time riding the trails and seeing new sights or at home going back over the same lesson you gave your horse the last time you saddled up. The choice is yours! Horses need a lot of water all year-long, but the hot Summer months require special attention to your horse’s water supply. According to Richard G. Godbee, Ph.D., for AQHA Corporate Partner Farnam, dehydration will have a greater impact on a horse than the lack of any other nutrient. In Oklahoma, the temperature regularly exceeds 100 degrees Farenheit. Keeping water available is critical to the well-being of the horse. It is also important for the rider to drink water when riding. Salt is also necessary with the water for the horse to stay in good condition. Without these key needs having been met, your horse can become quickly ill and die. Riding in the heat and hot weather requires more water and salt. While we ride year round, the heat means we are careful to ensure water and salt are readily available. The American Horsemen Challenge Association is holding its National Finals August 1 – 4th at the Kansas State Fairgrounds in Hutchinson, Kansas. AHCA prides itself on friendly competition with an eye towards good sportsmanship combined with a lot of fun. The association places considerable importance on rider safety and displaying proper horsemanship by maintaining control over the horse. The membership dues are moderate and reasonable. If you aren’t familiar with AHCA, check out the web page. Football Draft Picks Or Selecting The Right Horse? Life has rules that universally apply to all of us. For instance, take the game of football. A football fanatic can spend about 5 minutes talking with one of us and discover we know little about the game. We know even less about how to go about choosing the best players that it takes to win. If some college or university were to ask our help in selecting a team, there are foundational basics we know like a receiver without good hands in catching the ball is going to result in a lot of interceptions. Speed and stamina are your friends, especially if you’re the guy carrying the ball with the other team running after you. But, even though we could make a list of the things we know, there’s a reason the University of Oklahoma hasn’t sought us out. It’s because the coaches they hire have considerably more insight into details that completely escape our knowledge and observations. It obviously relies on experienced coaches that are far more capable of selecting a winning team than we ever could. Choosing horses is a lot like selecting football players. It doesn’t take brilliance to know a large frame person needs a big horse. People who show require a horse that trailers easily. A roper isn’t going to do well with a horse that spooks when a throwing a loop. A barrel racer better have a horse that can make a tight turn around the barrel. Cutting horses that are afraid of calves aren’t the big winners. Just like football, a lot of people could point out things to look for when making a purchase. In fact, we see the results of their selection of the “perfect” horse pretty frequently. Often it’s not “exactly” the horse they wanted and definitely not the horse they thought they were getting. Yep, it’s a beautiful horse alright, but it’s just a little too high-strung for their level of riding experience or it bucks just a little. Like every time they put their foot in the stirrup to climb on. Many times they wind up not riding it at all or sending it to a trainer and spending a lot of money they hadn’t budgeted. Keep in mind, there’s nothing wrong with buying a horse and sending it to the trainer if it is what you want to do. 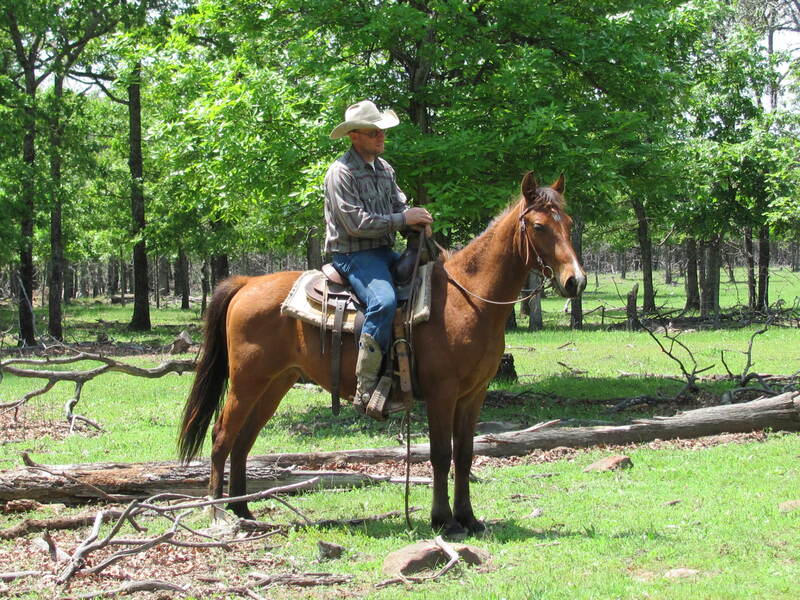 But if you are looking for a trail horse to ride now, here’s a few things you might consider. We like to think our years of owning, riding, and training horses has taught us some things about what to look for in a horse that the average horse buyer doesn’t know. If nothing else, hopefully some of the mistakes we have made over the years have provided lessons in the type of horse and qualities to avoid. When we select a horse for our two-year training program, it’s a careful choice with countless considerations that can’t be easily put into words. Just like a coach who sees attributes or weaknesses in a potential player, there are horses we pass over because of small details we notice that may not be easy to explain. It’s not to hard to say we need a horse that is healthy, athletic, and has a good mind. It’s a little harder to spell out all the qualities that go into choosing a horse that will have all the attributes to make a suitable trail and family horse. One that can be ridden by nearly anyone and will provide years of fun and good experiences. Frankly, the decision on any given horse often feels more like a gut instinct that has developed from the many years of experience and mistakes in buying horses. Sometimes we still get it wrong and 45 – 60 days into the training determine the horse doesn’t have what it takes. It may not have the right disposition or may not be capable of the physical demands. It may look pretty, but just not have the feet and legs to carry you all day on the trail. Other times there can be a ornery streak or a stubbornness that will not be fitting for the type of horses we want to graduate from our training program. These horses are sent down the road for more appropriate uses or for riders with the skill and experience it will take to handle them. 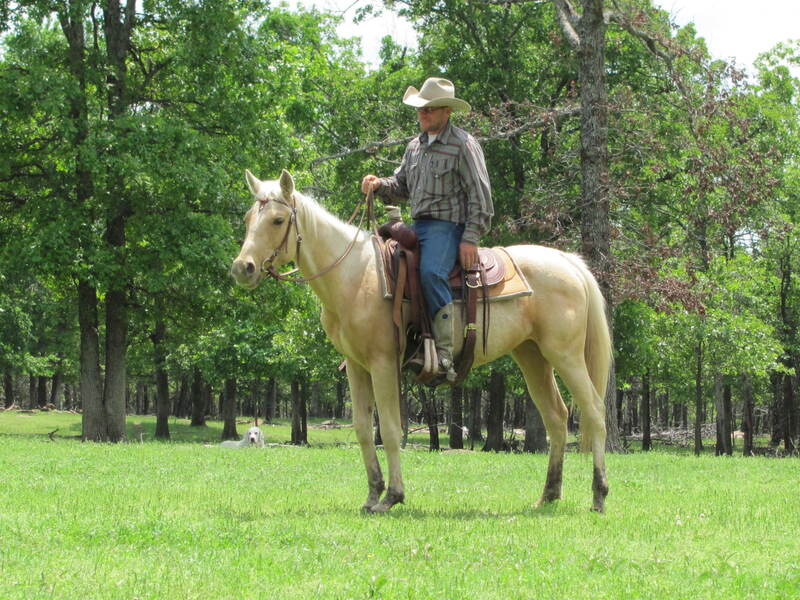 In short, if you are looking for a calm, quiet, well-broke horse that you can ride right now, give us a call. We will be happy to see if one of our horses is the right fit for you. If not, and if we know of a horse someone else has for sale that might be the right horse for you, we will be glad to point you that direction. We are grateful to live in this great country and feel truly blessed God has given all of this to us! We can’t imagine living any other place! The Fourth is almost here. The day Americans celebrate with smoking grills and fireworks! The festivities create issues for riders if their horses aren’t ready for the fun. The noise, flashes of light, and the smoke upset them. It doesn’t have to be a problem and can be just another day on the job for your horse. We don’t tell our horses the rest of America is taking the day off. They just figure it’s another work day just like any other while we celebrate! You are currently browsing the horsesfortrail blog archives for July, 2013.